Camping Ria de Arosa 2 Rural är en camping i Santa Uxía de Ribeira, A Coruña, belägen i skogen och vid en flod/ en bäck. Denna terrasscamping har platser med stängsel, med skugga, utan skugga och platser med lite skugga. Det finns möjlighet att hyra rum och bungalows. På campingen finns en lekplats och ett sportområde. Denna inspektör gör varje år ett besök på Camping Ria de Arosa 2 Rural och inspekterar campingen för ca 200 faciliteter och för andra förekommande punkter. Inspektören är en medarbetare från ACSI och arbetar inte för campingen. this campsite had so much promise but we are very disappointed. incredible noise including singing from residents of the bungalows from 3am to 5am which the site staff did nothing to stop and was repeated on the second night. So we left. Also description said 35 mins from Santiago. we took over an hour at 120km per hour where permitted. If you want to go there choose a more local site! Pitches tired and small, except past bar, larger pitches on right. Lots of seasonal caravans on site which makes place look scruffy and unkempt. Reception staff fantastic, toilets superb. Bar man, Angel, incredibly rude and sarcastic. He thinks he speaks English. I speak fluent Spanish so formal complaint made. Pool not open, except for Spanish visiting at weekend. Bar appears to be out of bounds to foreigners. Area nice to visit, if only for a couple of days. We won't return for reasons stated. The campsite describes itself as rural, so we should not have been surprised to find ourselves quite a long way off the main road up a hill. The site is surrounded by trees and hills, very pleasant, but no sea views. A nearby mirador has fantastic views. This is a well run site, with excellent sanitary facilities and a very good swimming pool. Caravan and camping car pitches are difficult to access, with steep ramps into the separate areas. Pitches at the top of the site are more level, but have limited shade. Tent area is flatter and very shady. This site offers many country pursuits - walking, riding, quad biking, but is not really handy for a beach, if that's what you want. This site is 9 km from Ribeira, 3 of which are on a narrow country lane. Toilet facilities are unbelieveable, like Roman baths with statues etc. Unfortunately we left after 3 days as it seemed there was only hot water at weekends. More like 50 minutes to Santiago. Vill du boka campingen Camping Ria de Arosa 2 Rural eller få mera information? Det går bra med nedanstående uppgifter eller via campingens webbsida. 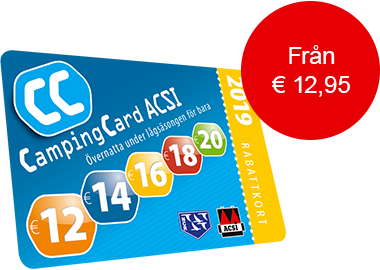 ACSI Eurocampings skickar din informationsförfrågan till "Camping Ria de Arosa 2 Rural".